This was the best day I had had in the longest time. 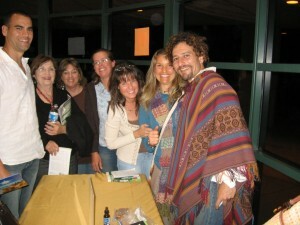 I had been waiting since October 2008 to see David Wolfe when he was in Sarasota, Florida at Veggie Magic. I missed him when he was there . I heard that he was going to be in Winter Park promoting his new book Superfoods. I was very anxious to get my hands on the new book and to hear him speak. He never misses a beat when it comes to answering questions. He can get anyone fired up about Raw food. As soon as I heard that he was going to make another Central Florida appearance, I placed a flyer about the seminar in Rutabagas in hopes that we could get a group of people together and go see MY FAVORITE RAW FOODIST OF ALL TIME!! 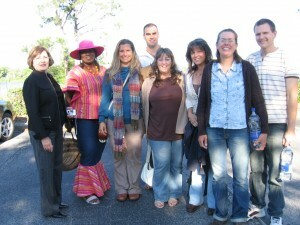 Kay, d’Adjoa, Veggie Girl (ME), Jason, Jackie, Kathy, Rich and Sarah all decided to go. I was so excited to have my friends with me to see this unforgettable seminar. When we got there, everyone was in line to get the pre-release of his new book Superfoods. Of course, there were samples of Sunfood’s goji berries, cacao, cashews, and many of David Wolfe’s books. I only wanted to get his new book and the DVD Food Matters. I was so excited when I saw it was there. I was going to buy it online, but it was there and I didn’t have to wait to buy it. I’ve watched it 4 times now. Here I am waiting for D.W.! All of us grabbed the third row. I wanted to sit in the front but we wouldn’t all fit:( The seats we had were great anyway. As I was sitting there, I couldn’t believe I was seeing him again. I am always watching youtube videos, but it is no comparison to the real thing. 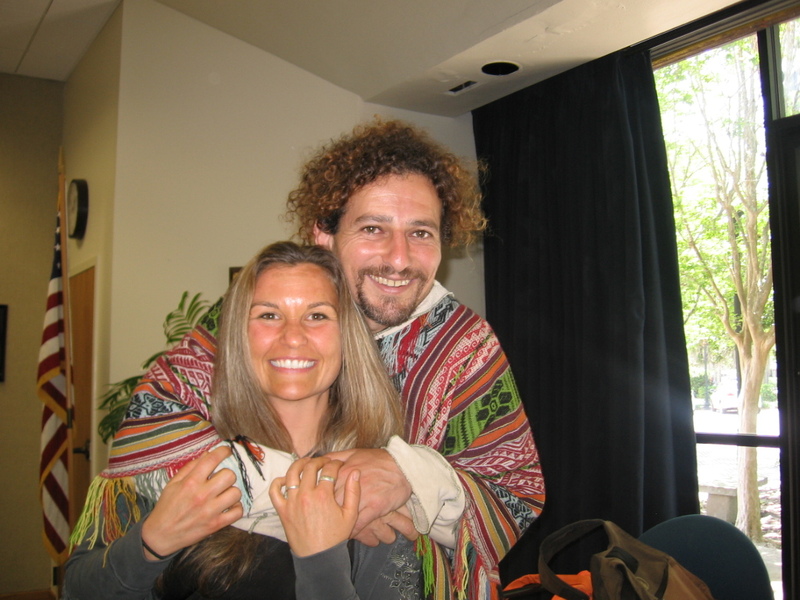 The next day I went to the brunch question and answer session with David Wolfe. The brunch was hosted by Natural Awakenings with a meal prepared by Chef Olive. She is truly talented. We started off with chocolate mint water. 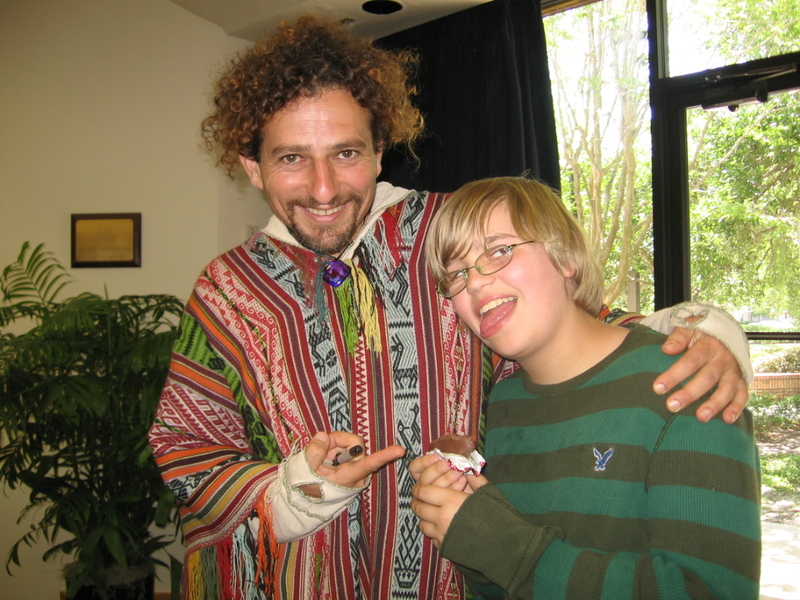 It was very appropriate, I thought, because of David Wolfe being a chocolatier. The meal was a perfect brunch choice…Squash Pancakes from Matthew Kenney’s new book. She made a hot sauce to go with the whole meal. I would love to have another meal by Chef Olive. It is such a joy eating food that is prepared with love. 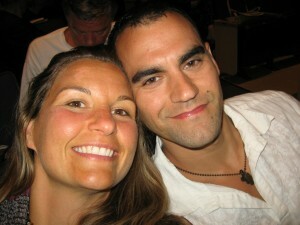 David Wolfe was staying in Titusville and he was running late, so we ate before he arrived. He spoke about more than just superfoods. He touched on economic issues, health awareness, and I was so lucky to ask him a question that I’ve been wondering for years. I asked him why I have ridges in my nails. He called me up to look at my nails and said that I have a sulphor and silica deficiency. He requested that I try horsetail which I have tried in the past and got very sick with flu-like symptoms. He told me not to do that and try other things like bamboo sap, nettle tea, MSM, and oat straw. I have been doing bamboo and still waiting for results. I am willing to wait. I have had the problem since giving birth to my first son almost 13 years ago. Fortunately, my son, Christian, got to go with me. 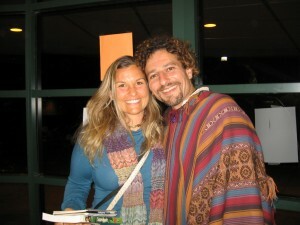 He also enjoyed David Wolfe. Christian always laughs at the way David Wolfe tells stories. We both had such a memorable day. What a way to spend time with my son!! Wow! Your website is absolutely incredible! I love it! Love it! Love it! I am looking forward to spending hours on it! Wish I had found this website a long time ago! You are the Best, Veggie girl!